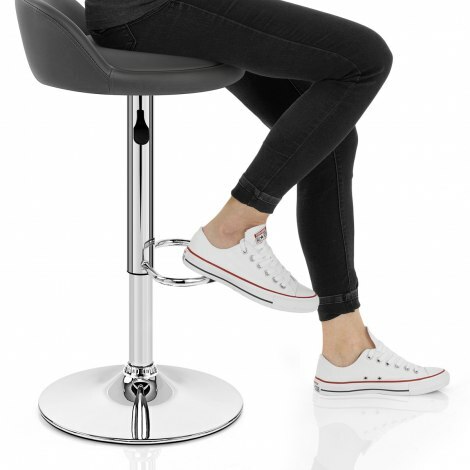 Bringing modern panache to your home with ease, the Lulu Bar Stool Grey is the epitome of contemporary style. Updating your interior with class and minimalism, the Lulu makes an excellent furniture choice for a wide ranges of spaces and décor styles. 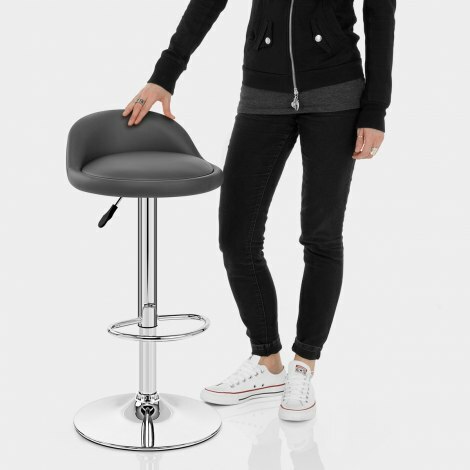 Its rounded grey faux leather seat is compact in design due to the low lip backrest, allowing you to tuck it underneath the counter. Padded for comfort and support, it offers a little piece of luxury. The seat sits atop a sleek chrome column, which is adjustable thanks to the variable height gas lift mechanism and 360-swivel features within. The footrest offers practical support for the feet and the round base is complete with a protective floor ring on the underside, making the Lulu a chic and steadfast piece for your interior. "Excellent quality & good value for money"
Good quality chairs in looks and feel. After looking for months for bar stools to match our new kitchen. We found these lovely bar stools. They are good quality and very comfortable. Would definitely recommend the stools and Atlantic for excellent service. assemble. Delivery was very quick. Lovely stool for the price. Easy to assemble, can’t say how well they will last as only had them for 2 weeks but really comfy.